Local cheese from Jumpin Good Goat Dairy, apples, almonds, stone ground mustard, local jam, crostini. Cheeses: First Snow, Ruby Mtn. Red Wine Soaked Cheddar, Champion Mill Cheddar. Cubed Gouda cheese, thin sliced Soppressata and Prosciutto, stone ground mustard, local jam, house pickles, crostini. 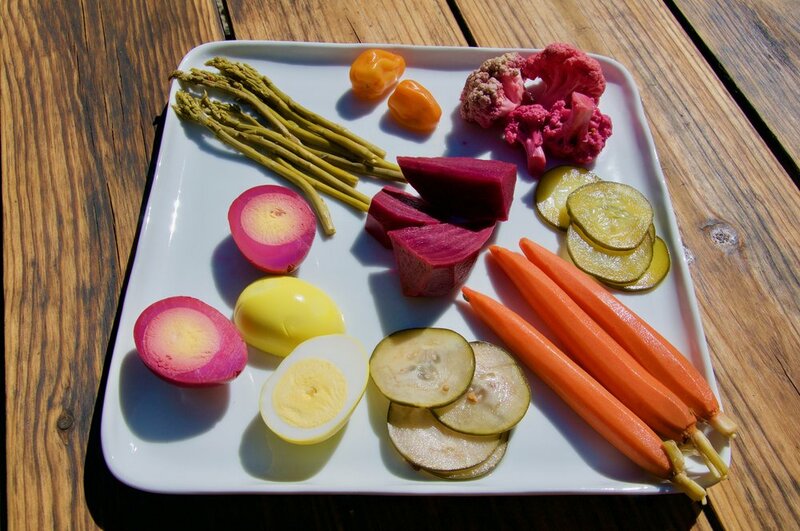 Assorted house pickled vegetables & house pickled eggs. Traditional hummus, grilled pita bread. Mixed Greek olives in olive oil & spices.